At the Marion Family YMCA we focus on overall wellness, empowering you to tailor your own plan toward healthier living by choosing how you will accomplish your wellness goals. The whole approach means you have many options and lots of support as you choose your path to a healthier new you! The large variety of cardiovascular and strength training equipment allows members with diverse abilities, backgrounds and interests to workout together. This space includes over 30 pieces of cardiovascular equipment including treadmills, steppers, ellipticals, upright & recumbent bikes, an ergo meter, and a recumbent stepper and a Jacob’s Ladder. The Wellness Center has coaches available to help you get started or move your fitness to the next level. We understand that sometimes beginning your membership can be a little overwhelming. With dozens of programs, opportunities, and equipment to learn, you may find yourself not knowing where to start. The Fit 60 appointment is designed to help you with this. Our Wellness coach will spend 60 minutes with you to fully understand your particular needs and goals. He or she will discuss and show you programs, equipment, and classes that will best fit you needs. You should expect to leave with an understanding of what fits you best here at our Y and where to start. ActivTrax – For members who want to incorporate resistance training in their exercise program with one of the most powerful fitness tools available. ActivTrax helps guide you in reaching your overall goals through activity tracking, guided workouts and nutrition and meal planning. Coaching Session – Coaches will help design an exercise program that fits the member’s needs. Your FIT60 appointment is not a high pressure sales pitch for personal training or a medical type of appointment where you’ll be poked and prodded. You don’t’ have to worry about being uncomfortable or embarrassed; you won’t be asked to do anything you don’t want to do. Anyone 14 years or older. Whether you’re new to exercise or in tip-top shape, our FIT60 experience is an opportunity for us to get to know one another. Whether you want to lift weights, take classes, swim, play sports or have some other interests in mind, we want to make sure we do our part in helping you get started on the right foot. Members who attend their FIT60 appointment within the first two weeks of joining are 6x more likely to achieve their goals. Let’s make sure you’re one of them! If you choose ActivTrax, you can access a online weight management tool to help you match your calorie intake to your activity levels and achieve any weight management goals you may have. Session of swim lessons, Session of an adult water class,health innovation class, youth sport session, 2 guest passes, $10 off child watch pass or $10.00 off any small group training. Must be an active member. Must sign up immediately following the FIT 60 appointment. Stop by the Service Center and set up your FIT60 appointment today!! *Silver Sneaker members pay just $20 per month for this unique tool. Workout at the Marion Family YMCA 11 days in one month, and we’ll waive the full $20 the following month, meaning you’ll pay nothing! In order to receive credit for days visited ActivTrax fees must be paid through automatic draft of a checking or savings account on the 15th of each month. Get the results you desire with a YMCA Personal Trainer! The YMCA’s certified trainers can help you reach your fitness goals. Perhaps you’re just beginning to work out on a regular basis, or maybe you’re a serious athlete looking to get to the next level. Whatever your situation and goals, our YMCA Personal Trainers can help YOU! YMCA Personal Training is a great way to customize your workout program. Our trainers can help you improve your cardiovascular fitness, muscular strength, endurance, and flexibility, and can further improve your body composition through both traditional and innovative techniques. optimizing their physical function and helping to delay the progression of symptoms. Instructor is certified in DTD. A fitness program designed to empower people with Parkinson’s disease by optimizing their physical function and helping to delay the progression of symptoms. Instructor is certified in DTD. Advanced to boot camp level focuses on balance, core, strength heart rate elevation and high intensity. This class is held in the Small pool. The purpose of this class is to help relieve stiffness and pain. We also work to improve strength & range of motion, wile also building endurance & flexibility. Diabetes is a serious health condition that can lead to heart disease, stroke, kidney failure, high blood pressure, and blindness. 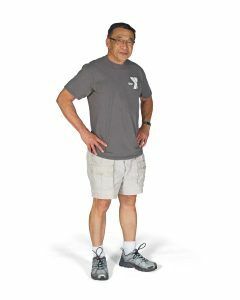 If you have been diagnosed with pre-diabetes, or believe you may be at risk for developing the disease, the YMCA’s Diabetes Prevention program can help you develop a healthier lifestyle and work with you to reduce the risks this condition can pose to your health. Through the program you will receive support and encouragement from both a trained lifestyle coach and fellow classmates as you develop a plan for improving and maintaining your overall well-being. Eating healthy can help you feel better, have more energy & improve your well-being. Sorting through all the information & making a change are difficult. Now the Y can help with our registered dietitian. Call Heather to set up your appointment at 725-9622. LIVESTRONG at the Y is a FREE program tailored to fit the specific needs of adult cancer survivors who would like to improve their quality of life before, during and after treatment. It is a 12 week program that meets for 45 minutes twice a week with certified instructors who have undergone specialized training in the elements of cancer, rehabilitative exercise and supportive cancer care. Pre registration is required & begin at any time. Y group fitness classes offer a variety of options for adults, families and kids. Group fitness is more than just exercise. You also benefit from the support and energy of your instructors and your fellow participants who will encourage you and help keep you moving and coming back. Lifelong friendships are often formed in group fitness environments. We update the fitness class schedule regularly in order to provide you with the choices you are looking for. You can find a current schedule listed below or in print at the Y. The land group exercise classes are included in your Y membership. We offer a wide variety of classes from Zumba, toning, TRX and more. No registration is required, just show up for class. Classes are for ages 14 and up except for a few Family Friendly classes. Or view on our Marion Family YMCA mobile app. Schedule and classes are subject to change. YOGA CLASSES AT THE YMCA – STRETCH. BREATHE. FOCUS. FEEL BETTER. Millions of people do yoga because they love what it does for the mind, body, and spirit. Healthy living is an important part of the Y. Water fitness classes are a great way to exercise, and a great way to become involved in the Y Community. In water fitness, we have created a strong community of supportive and caring peers who work together to encourage and push each other to stay on track and accomplish goals. We offer a variety of classes to meet the needs of anyone who is interested in a water fitness class.